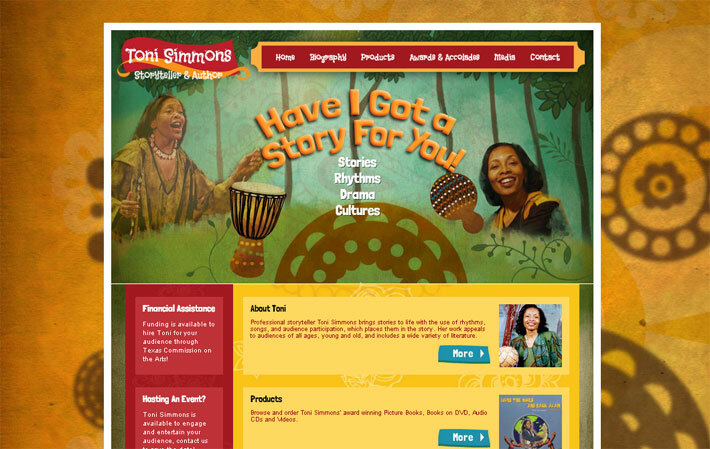 Toni Simmons, a storyteller and author in Houston, TX, needed a new website design to promote her books, audio CDs and storytelling services. 3PRIME designed a custom layout and implemented it using WordPress. 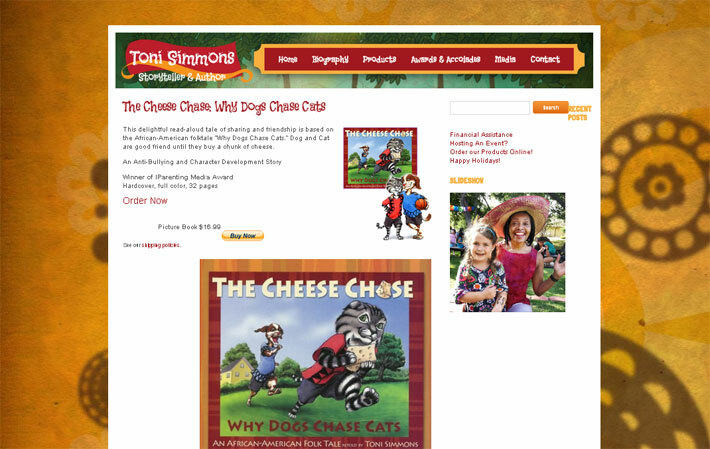 3PRIME also created a Paypal account for Toni, as well as individual pages for her products. 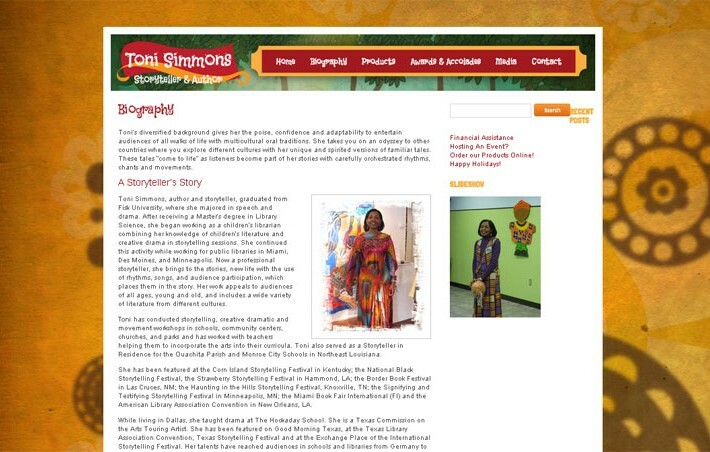 Professional storyteller who uses songs, rhythms and audience engagement in her work.